Starting your period for the first time is very scary. I remember starting mine and I was petrified. I had no idea what to do or what to say. I used to hate each month as it came, I still do. However, periods change after having kids, and mine sure have after having three and breastfeeding too. Also, growing up without having a close relationship with my Mother, I never had that support that I wanted off her when I started. I grew up with my Dad, and I was just too embarrassed to talk to him about it. Luckily, his partner at the time was supportive. 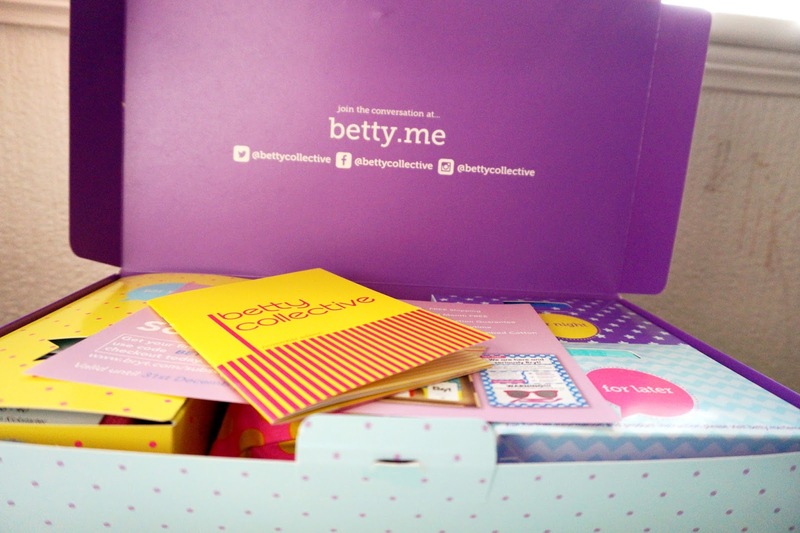 This subscription box from Betty is an absolute amazing idea for any girl starting and having their periods. 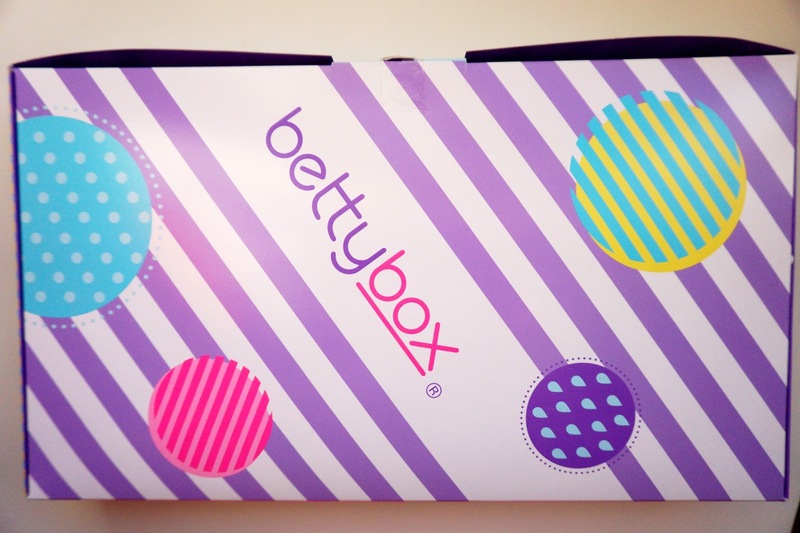 Having something to look forward to each month, this BettyBox subscription box for girls is full-packed of things. You also get to choose if you want pads, tampons or a mix of both. When it arrived, I was instantly pleased about what the subscription box had to offer. It would have been perfect for when I was younger, but still now in my mid-twenties, I was pleased with the box and the items that were inside. There are four sections in the box: Treat box for you, little travel bag with some normal and thin pads, a box of normal pads and a box of night time pads. 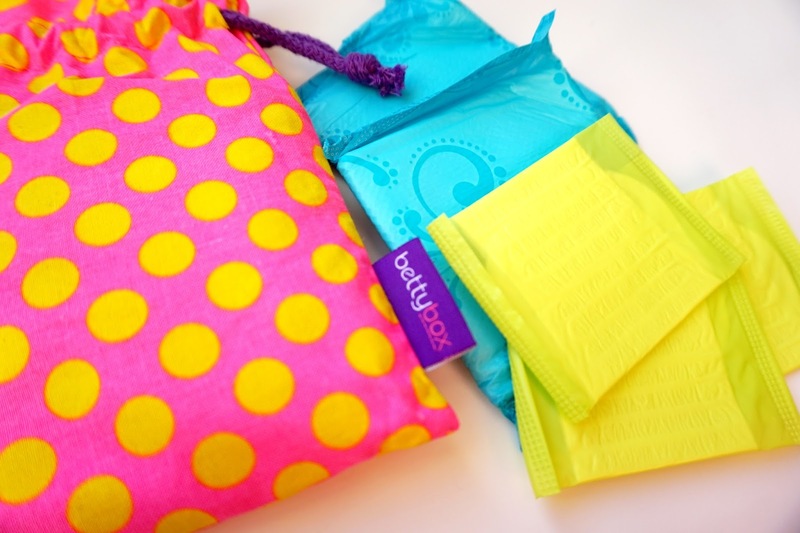 When you order a box, you get the choice of either pad, tampons or a mix. Each month there is a different treat box. I was interested to see what kind of treats were in the treat box and I can honestly say I was really impressed by them. In November's box there was; Chocolate Brownie Mug Mix (which was delicious), Pair of socks, Hairbands, Foot scrub, Sleep Tea and Microfibre Cleansing Cloth. I was really pleased with all the items that were in the box. 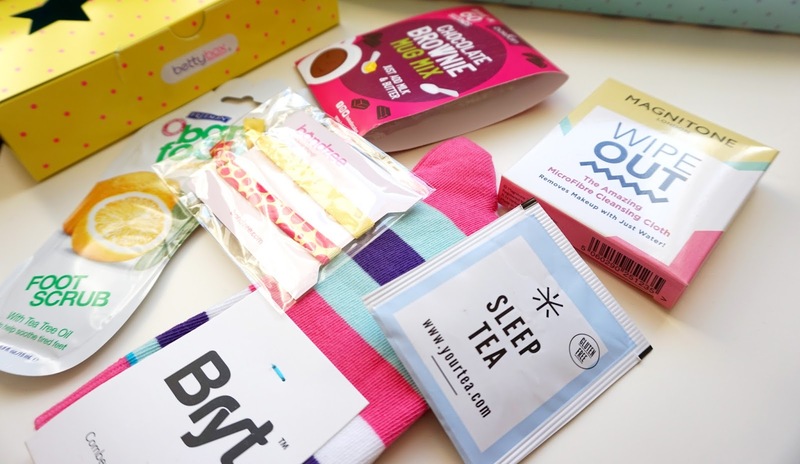 I personally think this subscription box is absolutely brilliant for every single girl. 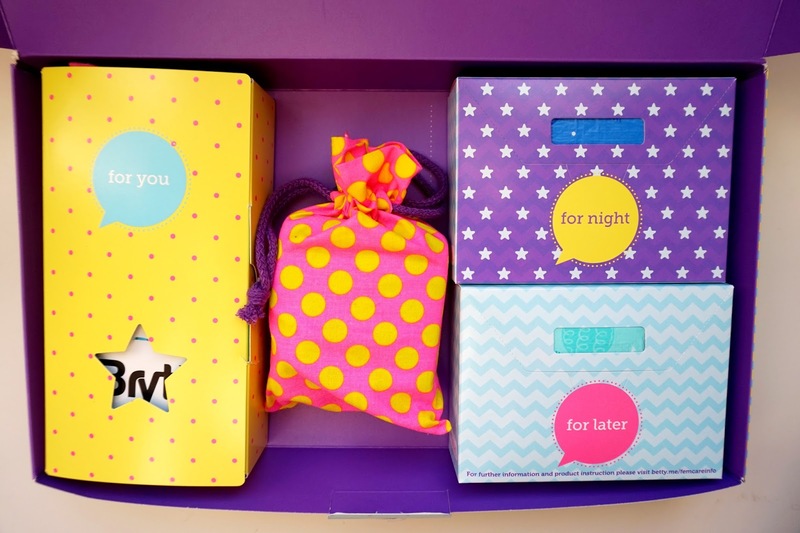 The box gets delivered to your door once a month, to bring some little enjoyment and happiness during that time of month. 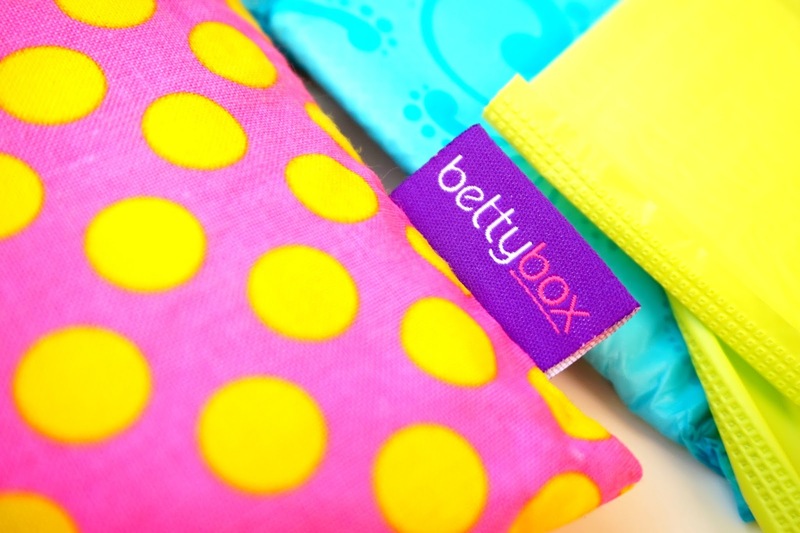 We can all feel groggy, miserable and discomfort when we're on our period, but this box will bring a smile on your face each month. A nice little treat to look forward to every month. The box is priced at a very reasonable £12.99 with free postage, which I think is a very affordable price with what is inside. They also use top branded pads/tampons. * I was kindly sent this item to review. All words, opinions and photos are my own.